This mahi-mahi tastes like summer with the combination of mint and pineapple. Canola oil's light taste helps those fresh flavors stay bright. 1. In bowl, combine pineapple, onion, red pepper, mint and lime juice; refrigerate until ready to serve. 2. In nonstick skillet, heat canola oil over medium heat. Add fish and sprinkle with pepper. Cook 3-5 minutes. Turn and cook additional 3-5 minutes or until desired doneness. 3. 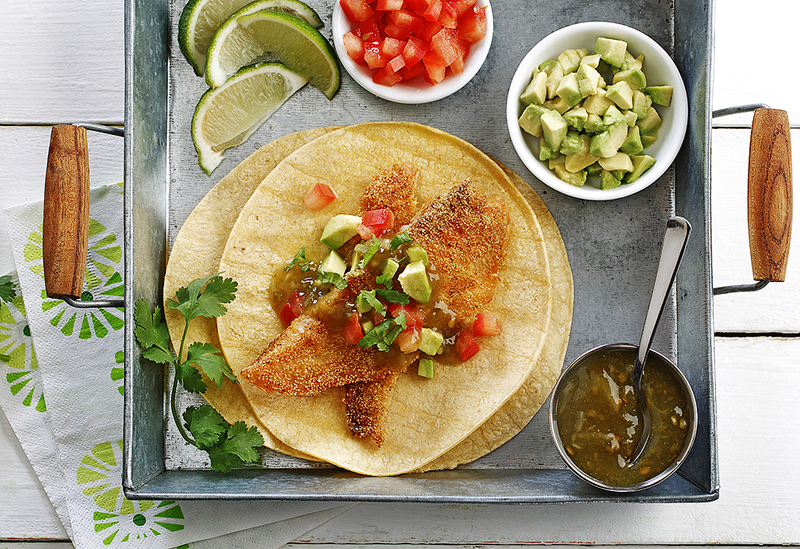 Top fish with pineapple salsa and serve. 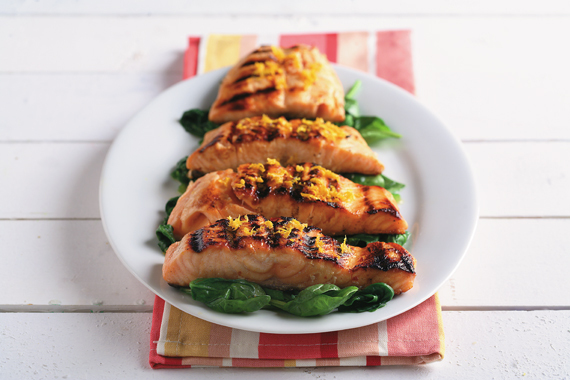 Pretty to look at, delicious to eat, salmon-infused with seasonal fresh orange and heart-healthy canola oil served over slightly wilted spinach is easy to make any time of year. 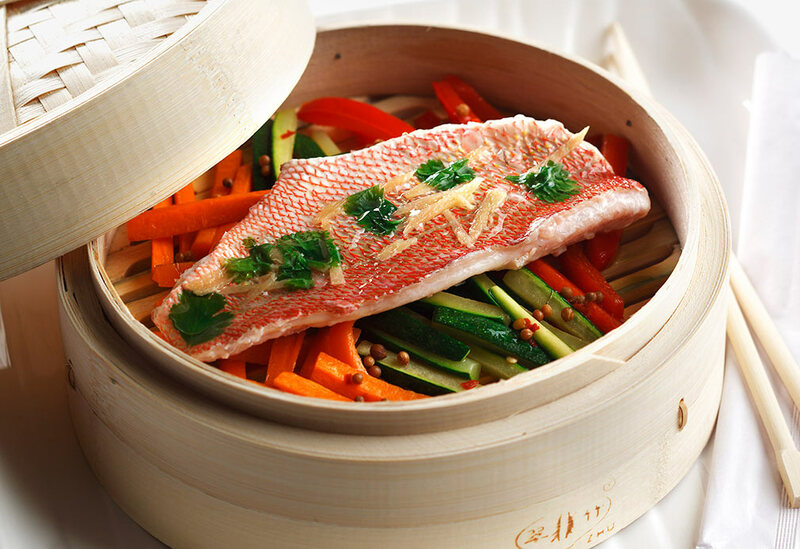 Using both traditional and unique ingredients for Japanese cuisine, this fish dish combines ginger and cilantro with a tangy sauce for a medley of flavours and aromas.